and stunning chevron silk, there's something special for every occasion this season. 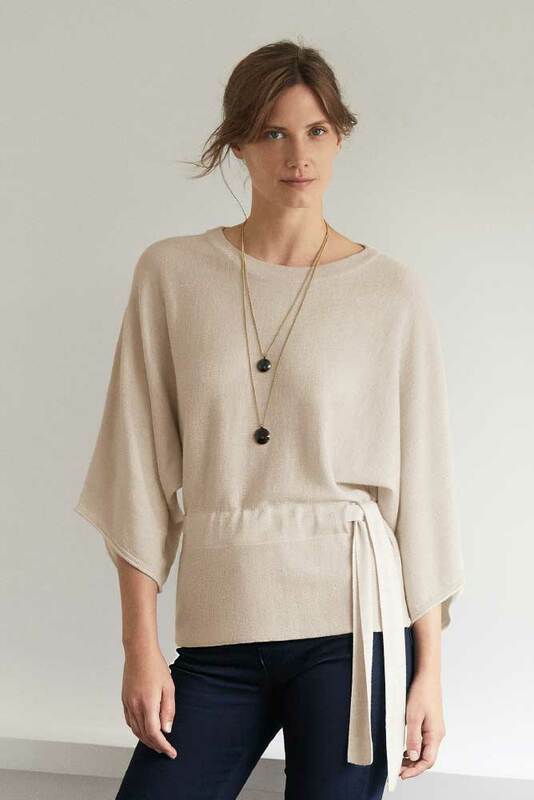 dress or style our tie-waist sweater with your favourite jeans for a laid-back alternative. statement in our all-over patterned long-line shirt. Taking inspiration from natural environments and organic shapes our stunning winter prints have been designed by textile print designer and Royal College of Art graduate, Lucy Day. Choose between our mono strand print and flowering khaki bronze motif.